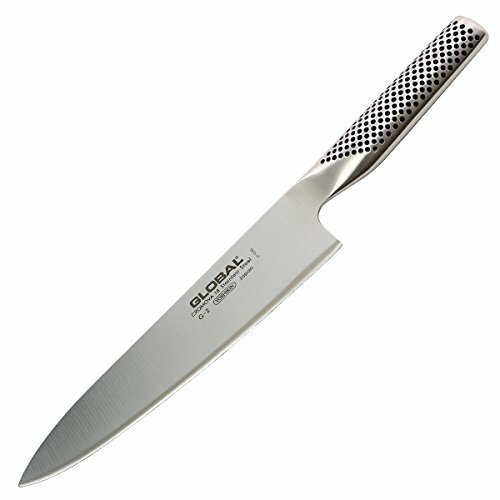 The elegant design of the global knife with the distinctive features really sets it apart from its main competitors. You can pick this knife up a mile away with the set of dimples on the handle, giving the user that extra comfort. The sharp, thin blade accounts for the performance of the knife. It’s easy to clean and the stainless steel blade makes it hygienic. They were mainly used by Japanese chefs for cutting ingredients for their sushi. The sharpness of the blades helped them to a large degree. Later the knife became more popular in other parts of the world and the range extended. Chefs used these knives as vegetable choppers, classic chefs’ knives and even cleavers. The range of knives is constantly growing. 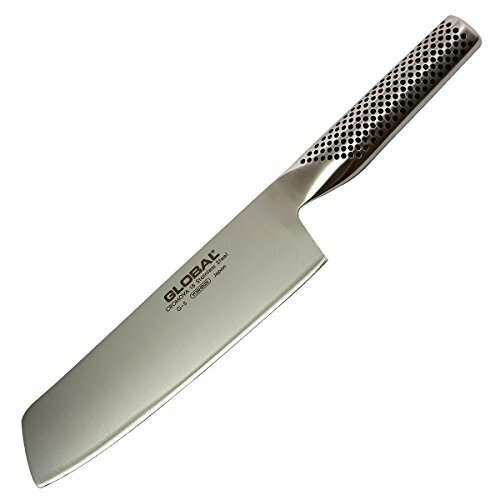 Global was the first one-piece stainless kitchen knife to be produced into the European markets. The Global family now distributes to over 95 countries. Global Knives are known for their distinctive one piece molybdenum/vanadium stainless steel blades. Compared to other well known European knives, Global knives are made from a harder alloy of steel with a thinner blade and narrower angle making it sharper and easier to cut. They are famous for their balance as well as their lightweight feature. Some people prefer a heavier knife, but for chefs who are standing all day hacking away, a lighter knife is the better option. The disadvantage of Global is that when they are dull from long use it takes a much longer time than normal to sharpen. 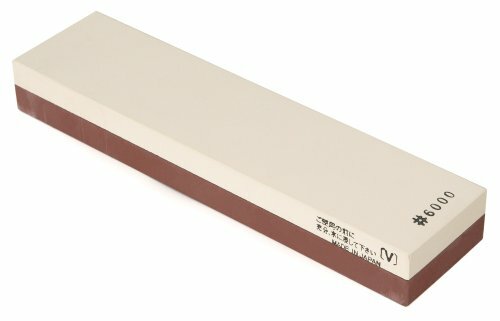 Whetstones and ceramic sharpening rods are recommended by the manufacturer over the normal sharpening steel. It is recommended to sharpen your knife every day before you begin chopping. In this way you won’t spend too much time sharpening at one time. Specialized knife designs are always being introduced into the Global range including something like a tomato knife, which most people will not include in their collection, but this makes the world of a difference. As a former chef, Global is the brand I still prefer, using the same brand as my chefing mentors. I also noticed that this is often the preferred choice of most chefs in different restaurants I have worked at. I would say one of the primary factors when shopping for a chef’s knife would be comfort and the lightweight attributes along with the comfortable grip and balance of the knife are probably why it’s such a popular choice. This is perfect for slicing and chopping vegetables because it has a blade that makes it possible to get through things that are big and heavy, like pumpkin. It's a vanadium stainless steel blade - basically meaning it's a really good quality. This is the standard for all knives. All knives like this come with a lifetime guarantee. This is helpful because if you drop it and the end chips, you can get a new one. This is very popular amongst both the average foodie in their kitchen as well as the chef in the bigger industrial kitchen. I find this really lightweight, although you may want something heavier. That is something you have to decide for yourself. I find the handle extremely comfortable. Others don't like this - it is a matter preference. It is important you find a good quality chef's knife because this will be the main knife you will be using. This may sound like something obvious to say, but when you first get your knife, you really have to take great care with it. These knives are extremely sharp and will easily cut the hair off from your arm – don’t try that! I have seen some really horrible accidents in the industry by trained chefs and I wouldn’t want the same thing to happen to you. Have a damp paper towel underneath your board so it doesn’t slip and slide all over the place. Keep your eyes on your work. When you are chopping an onion or anything similar and you want to speed it up, tuck those fingers in, so the blade is brushing across your knuckles. 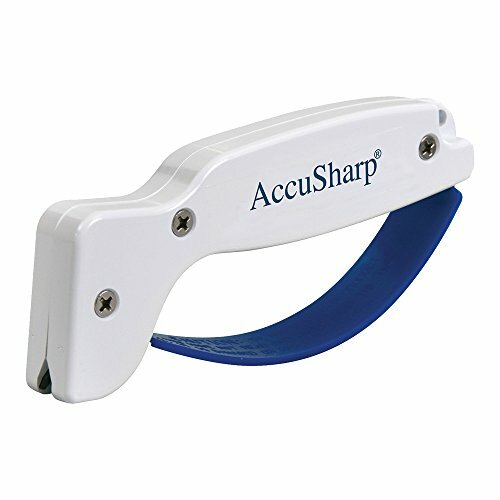 Most foodies, chefs and people who know their knives would want a decent knife sharpener. I know as a chef you generally give your chef’s knife a sharpen every day before you start working. There is nothing worse than working with a blunt knife. It’s amazing when you go into a normal domestic kitchen and find a good knife, but it is so blunt that you basically can’t do anything with it. However, the owner of the kitchen is satisfied with the bluntness. Little do they know what a difference a little bit of a sharpening would make. A blunt knife can cause all sorts of injuries, when chopping in frustration. On the market today there are a couple of different types of sharpeners. I know chefs prefer the traditional steels. Chefs are quite specific about what they use, especially when the knife is the tool you are using all day you can understand why. Some knives require that they have the same make of sharpening steel. Some people like to avoid the steel rod and block as much as possible. This product is not a chef’s tool, but it would be an answer to prayer for the kitchen domestic. It’s easy to use and is efficient. You just have to replace the blades every so often. It’s completely safe with an accompanying grip and basically does all the work for you. Japanese waterstones are probably the best when it comes to various types of stones. They are layered with a coating on top of the stone which polishes cuts the blade while you are sharpening. This particular waterstone is rated amongst the best. Diamond is amongst the best makes. It is long lasting and it goes one step beyond your ordinary steel in that properties of a whetstone are also included in this steel. This rod is suitable for any sort of kitchen including commercial kitchens.